Chamberlain Group West Gosford shows why it is the benchmark for Continuous Improvement and people engagement. Central Coast Industry Connect (CCIC) held its first event for 2019 on the 21stFebruary at the Chamberlain Group, based at West Gosford. It was the first meeting of the Lean Cluster (Continuous improvement) group for the year.Chamberlain are a global company and are the largest manufacturer of residential and commercial garage door openers and gate access systems in the world. They acquired local family company Grifco, in 2007, Australia’s leading brand of commercial door openers. Grifco commenced manufacturing in Australia in 1914. In 2015 CCIC held a Lean networking event at the Chamberlain site to showcase its work in continuous improvement (CI). It was then an impressive site. In 2019, Chamberlain continue to be the benchmark for the region in CI implementation. “They have been on the lean journey for a number of years and it continues to be the way Chamberlain run their operations. Lean is not a one off event but entails cultural change that is led from the top and needs to be embedded into the business to get its full benefits “said Executive Office of CCIC Frank Sammut. Under Graeme’s leadership the second phase of lean commenced in 2017 and this phase was inspired by the local lean cluster events and visits to local successful manufacturers through the CCIC network. Graeme engaged with the local Advanced Manufacturing Business advisor who conducted a business review on the opportunities for the operations. The focus of the review was about how the site was going to do business in the future and what needed to change to make this happen. As a result of this, a supplier improvement program was put in place with key suppliers to reduce inventory and defect levels. A review of work instructions was conducted, and changes made. A three year strategic quality plan was developed that set a futuristic quality goal. A value stream map of the processes on site was done that was used to develop a new factory layout to include automation. Two robotic cells have since been installed. Lean training was rolled out for the entire shopfloor personnel providing them a Certificate 3 in competitive systems and practices. The sites lean focus goes to all aspects of the operation with the team creating a safety logo and culture that has delivered 12 months without a safety incident, a record that has not been matched by any other operation in the global network. The importance and success of this is due to the employee engagement in the process. 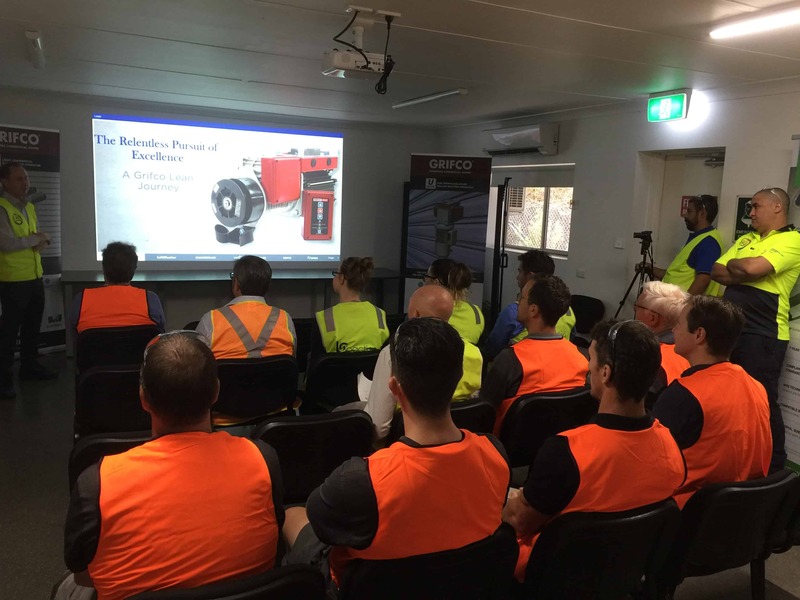 The Chamberlain team are now looking at rolling out a sustainability / Environmental strategy, a continuation of training to the next level and importantly to continue to celebrate wins that the Gosford site continues to achieve. Chamberlain employ 100 people in Australia of which around 40 are employed at the West Gosford site.